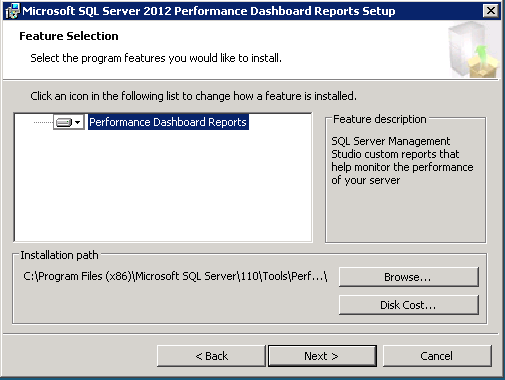 I been meaning to blog about this great feature for some time. 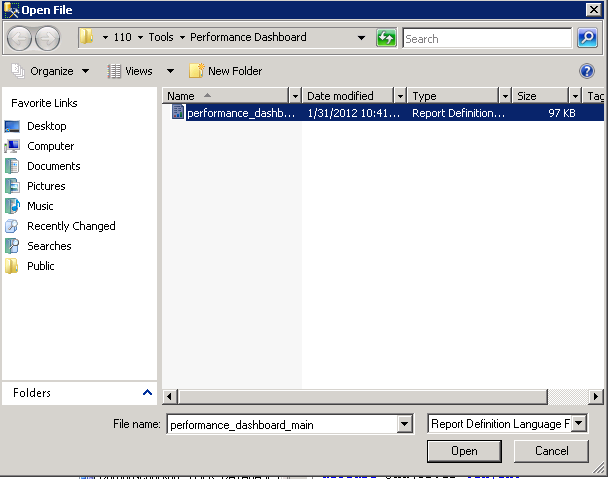 It was released earlier this year, like way back in March of 2012. 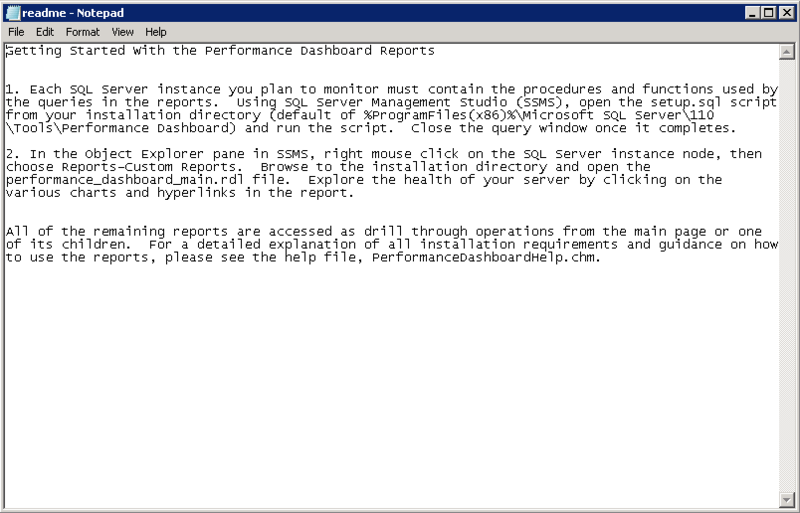 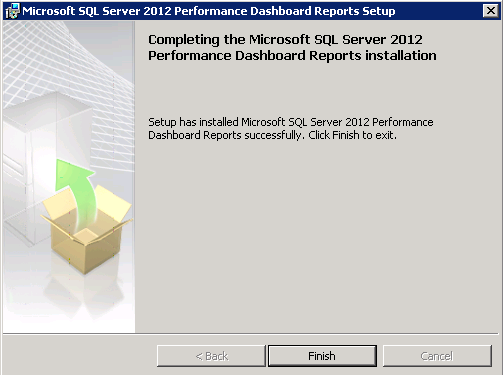 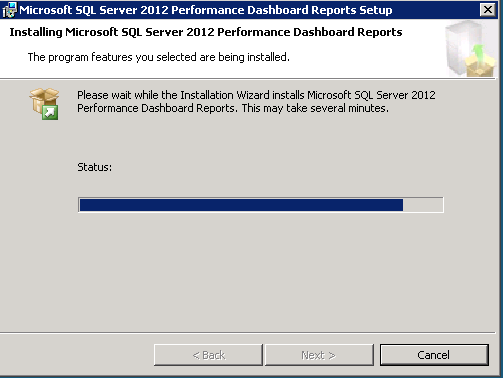 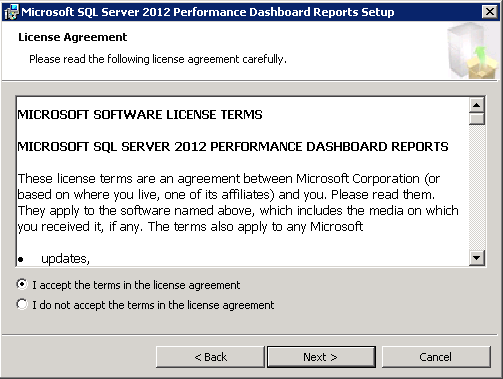 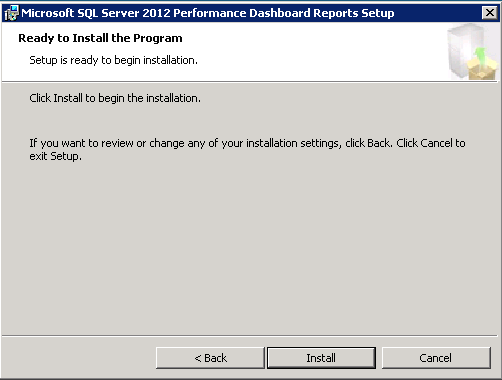 It is a report of your SQL server’s health in a very quick method and it is very simple, plus easy to install. 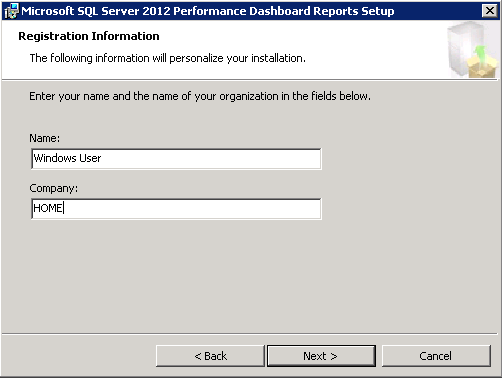 The information captured in the reports is retrieved from SQL Server’s dynamic management views. 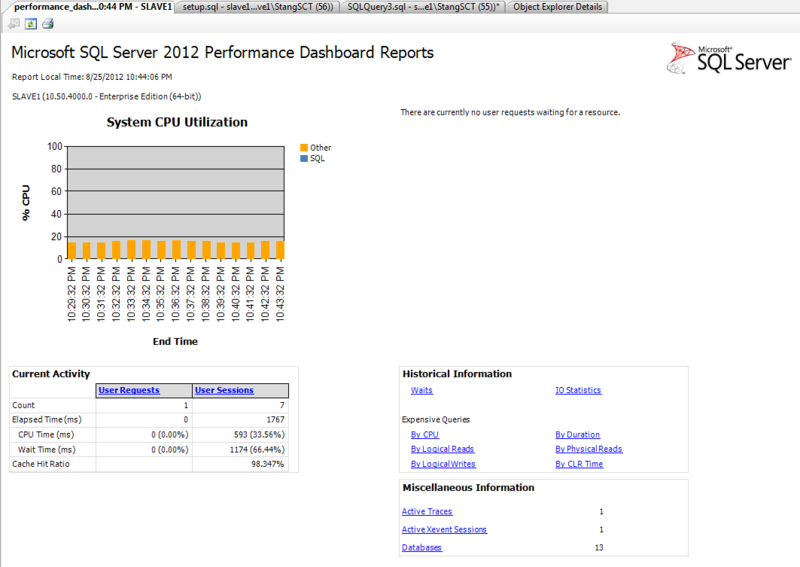 There is no additional tracing or data capture required, which means the information is always available and this is a very inexpensive means of monitoring your server. 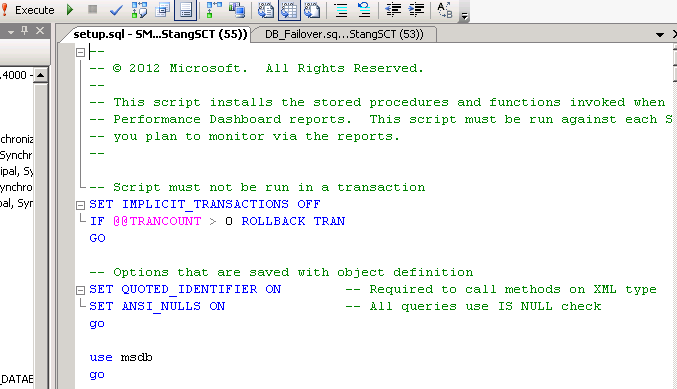 Wait for the message Script completed! 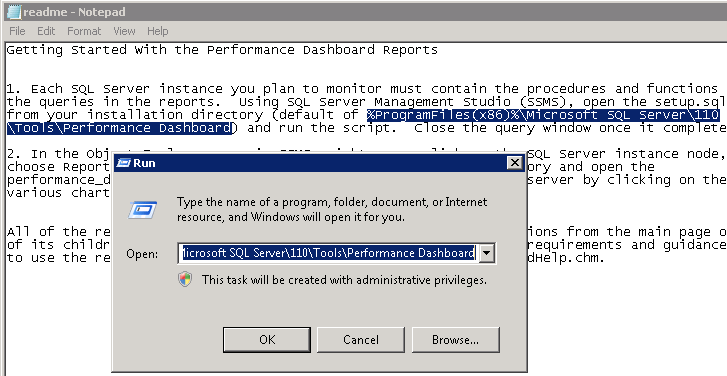 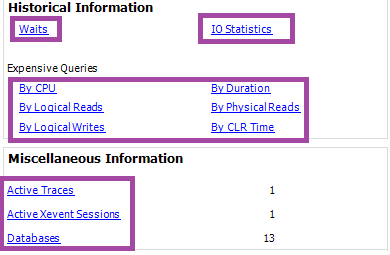 For those who are new to SQL and are not quite ready to query DMV or DMF, looking at wait stats, or gather perfmon counters then this tool can help you get a snapshot of your SQL server. 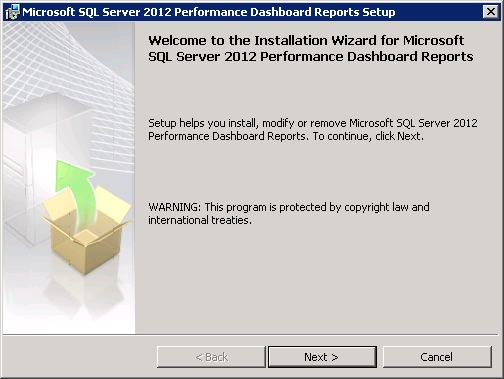 It is a pretty helpful tool and can help most people who are responsible for managing a SQL server.